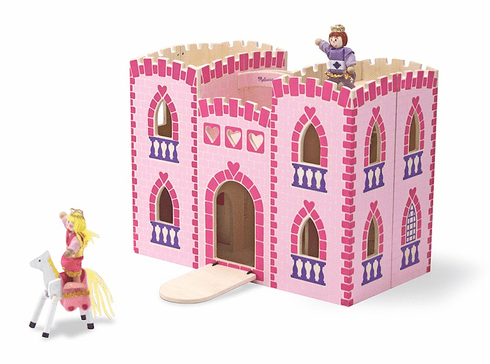 This charming wooden, folding castle, with convenient carrying handle, is pefect for your little princess. Its beautifully detailed exterior opens easily to reveal a royal palace furnished with 6 pieces of regal furniture and 2 horses. The prince and princess who live here are sure to live happily ever after!